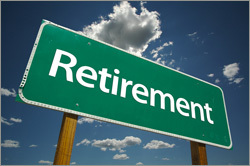 Qualifying city civilian retirees are entitled to several kinds of benefits. Since the City of Detroit filed for Bankruptcy, medical co-pays, premiums, coverage levels or providers have changed. Contact the City of Detroit General Retire Healthcare Trust Fund [Third Party Administrator] regarding benefits and changes. Contact information for the Healthcare Trust Fund is: BeneSys, P. O. Box 4955, Troy, MI 48099-4955; Local 248-813-9800, Fax 248-813-9898; Toll Free 844-563-8911. Medical care – You may choose from several plans. Co-pays, premiums and deductibles vary depending on the plan or provider selected. Dental care – Plans are available at cost to the retiree. Eye care – Plans are available t cost to the retiree. All questions or problems concerning medical benefits such as hospital, doctor, dental and eye care are handled by the Healthcare Trust Fund [VEBA].